The Peace Mala is a very imaginative and effective teaching resource which can be used to develop young people’s tolerance and understanding of one another’s cultural and religious backgrounds. We all learn and remember best by actually doing rather than simply listening, which is why making a Peace Mala is not only an enjoyable activity, but also educationally very valuable. If we are to live together peacefully in this world, we need positive programmes like this to help combat the all too prevalent voices of prejudice and discord. I am thrilled that the Peace Mala Youth Project began in Llanelli in my constituency. I should now like to see the Peace Mala widely embraced by schools and youth groups across the globe, to help young people develop the qualities that are essential if we are to live together in peace. 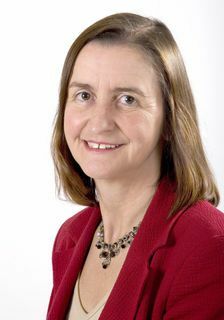 Before being elected as MP for Llanelli in 2005, Nia Griffith had worked as a teacher of modern foreign languages in local comprehensive schools, as a local authority education adviser and as an Estyn Schools Inspector. In Parliament, she has served on the European Scrutiny Committee, the Human Rights Committee and the Welsh Affairs Committee. 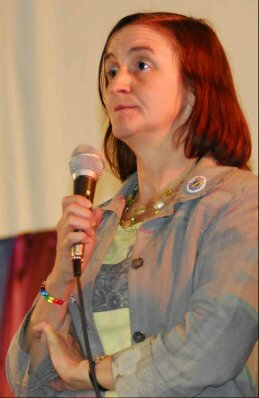 She is currently a Parliamentary Private Secretary in the Department for the Environment, Food and Rural Affairs (Defra), and is a member of a number of All-Party Parliamentary Groups, including being vice-chair of the All-Party Parliamentary Group on Equalities.